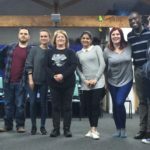 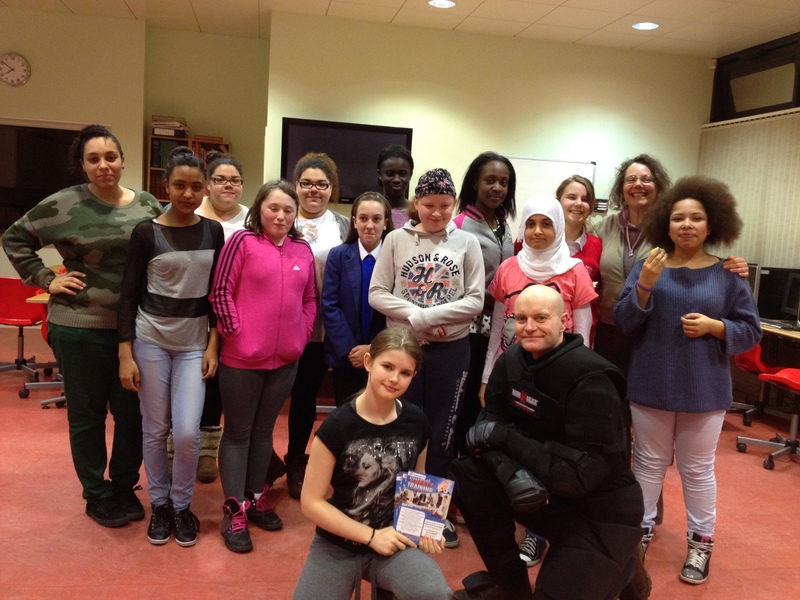 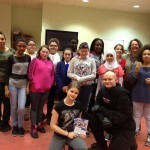 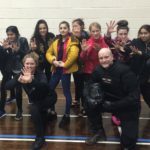 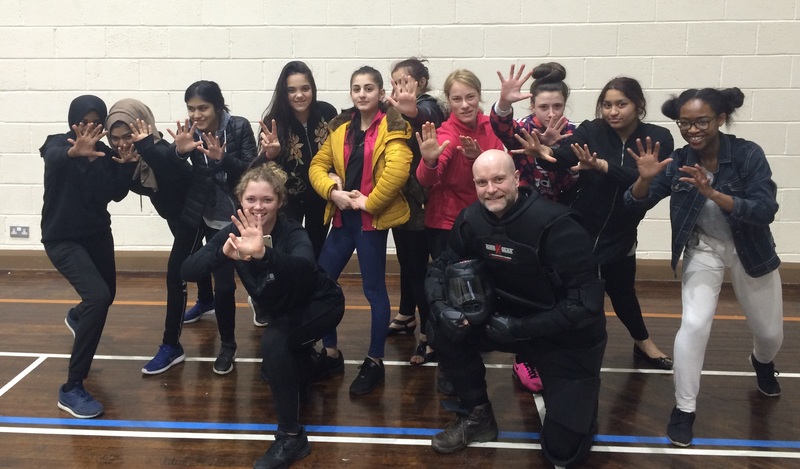 Levenshulme Youth Project girls learning how to get safe, and stay safe. 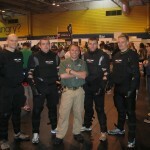 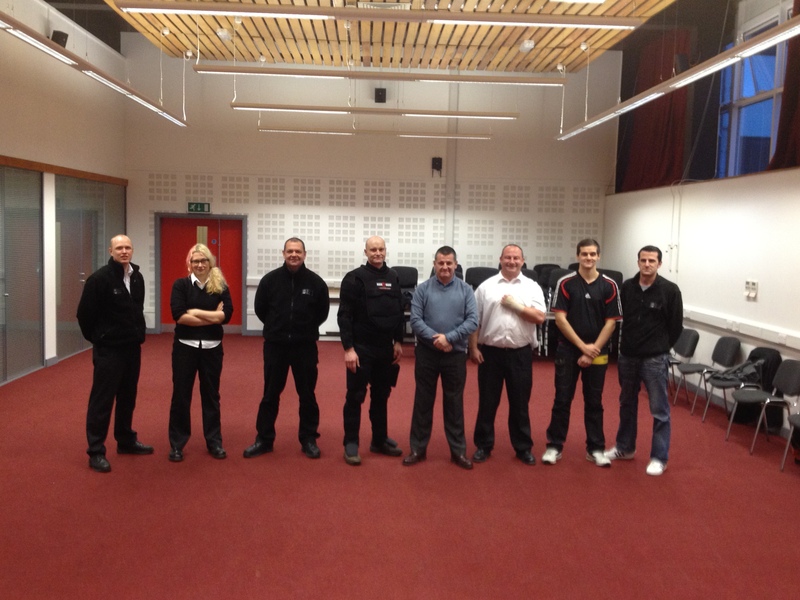 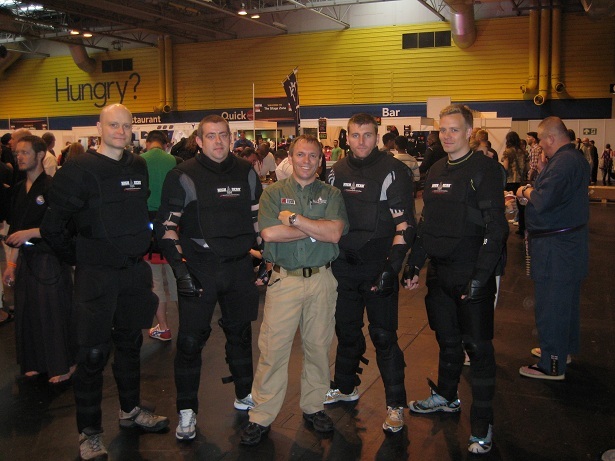 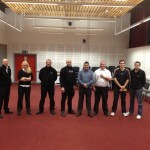 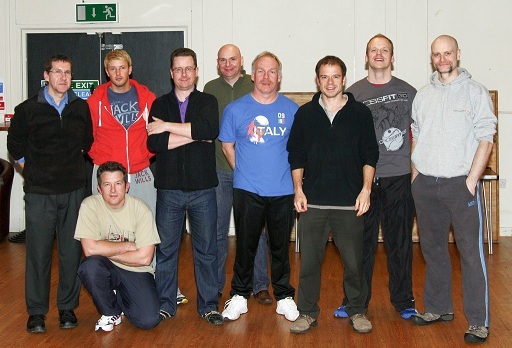 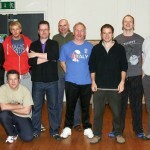 Neil Wilson, Colin McNulty and 3 other PDR Coaches at The Martial Arts Show (TMAS) at the NEC. 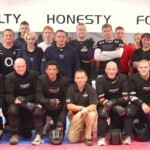 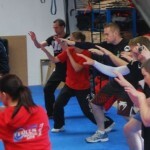 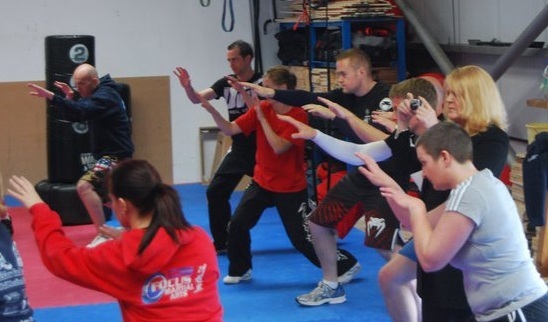 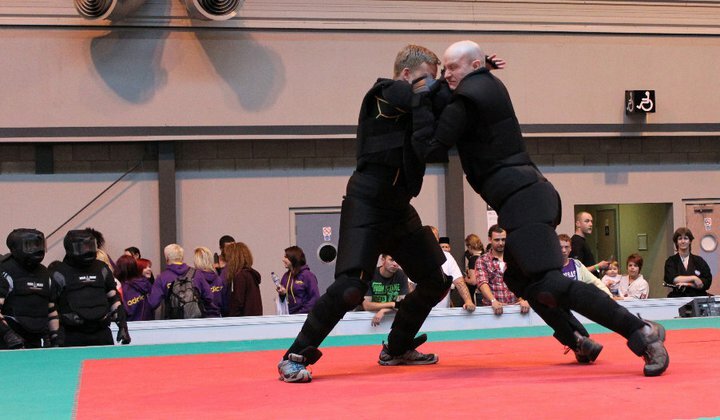 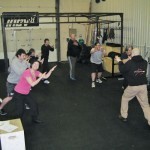 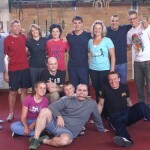 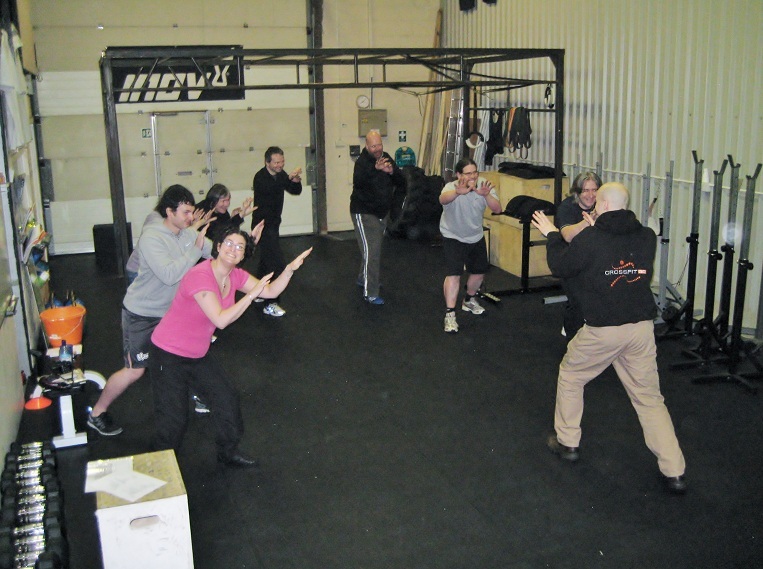 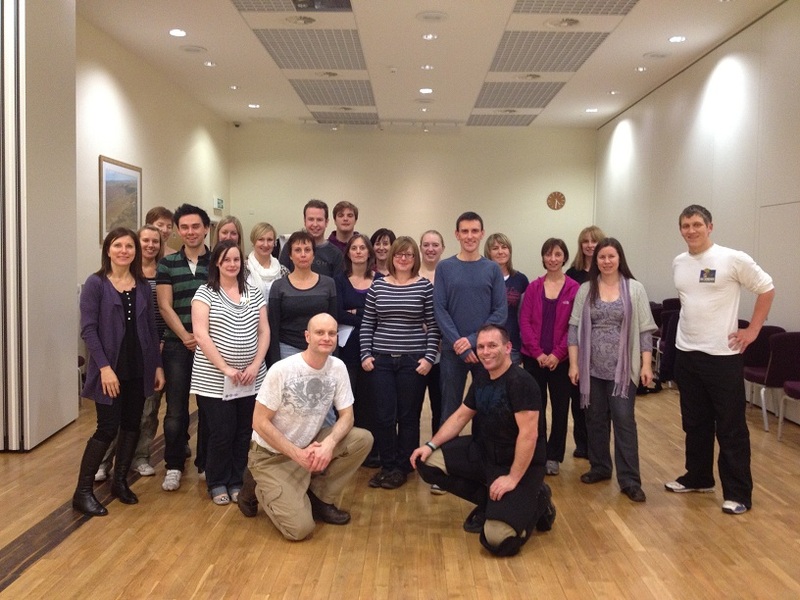 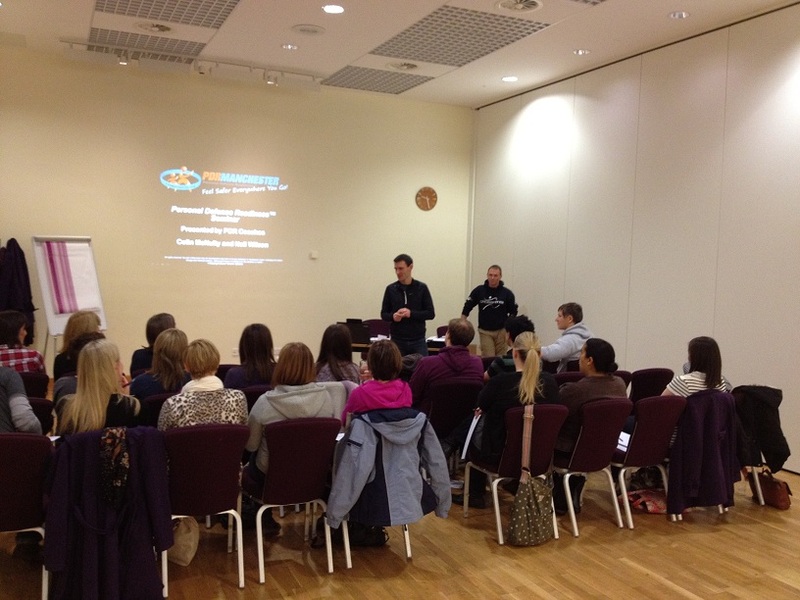 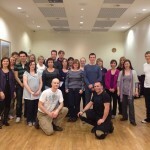 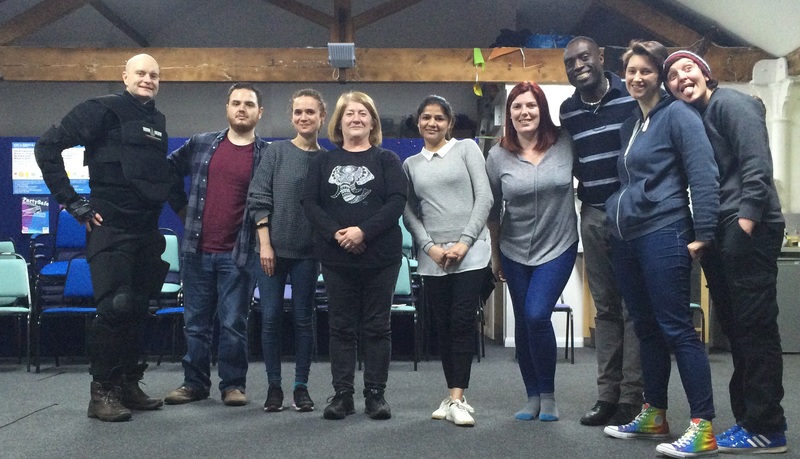 The most fun part of The Martial Arts Show at the NEC were the workshops teaching the martial arts crowd. 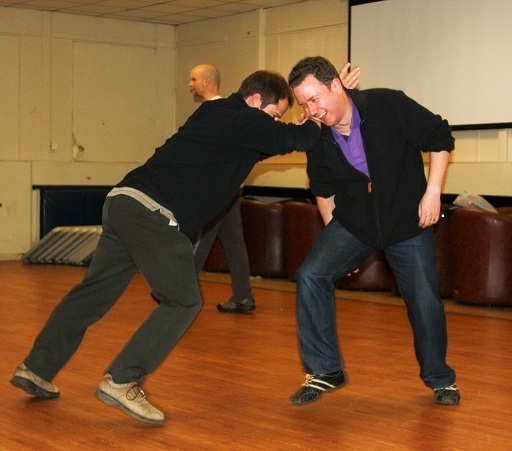 Neil seems to have Colin just where he wants him in the Saving Private Ryan drill. 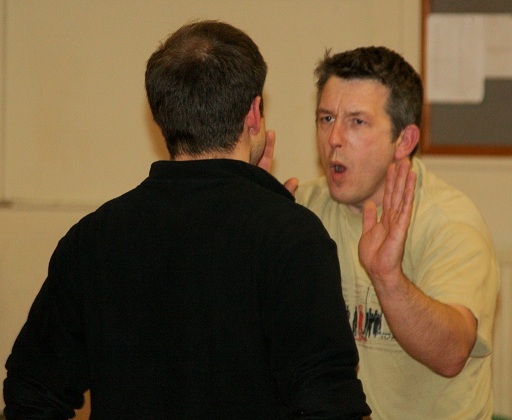 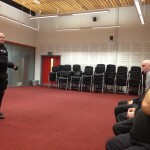 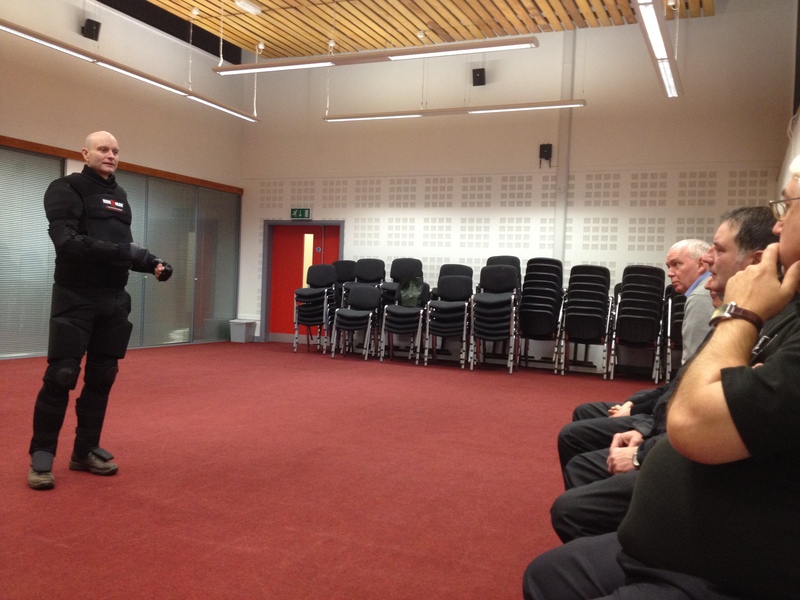 A final scenario at the end of the class simulated a realistic confrontation, here Dave tries to calm Steve down. 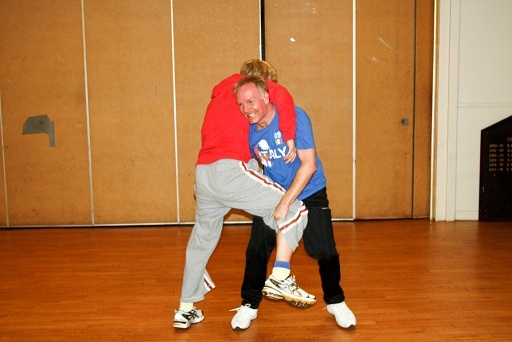 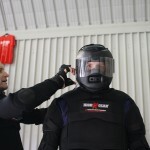 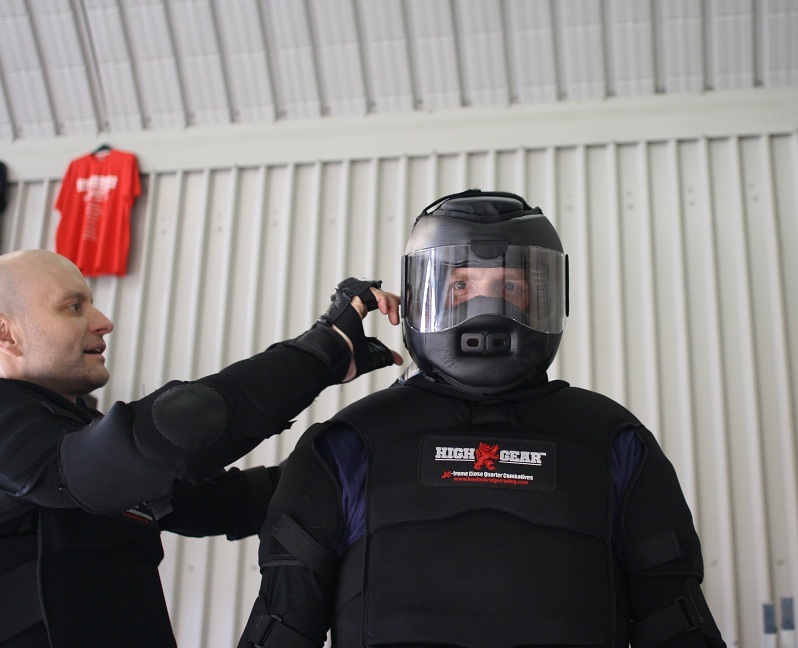 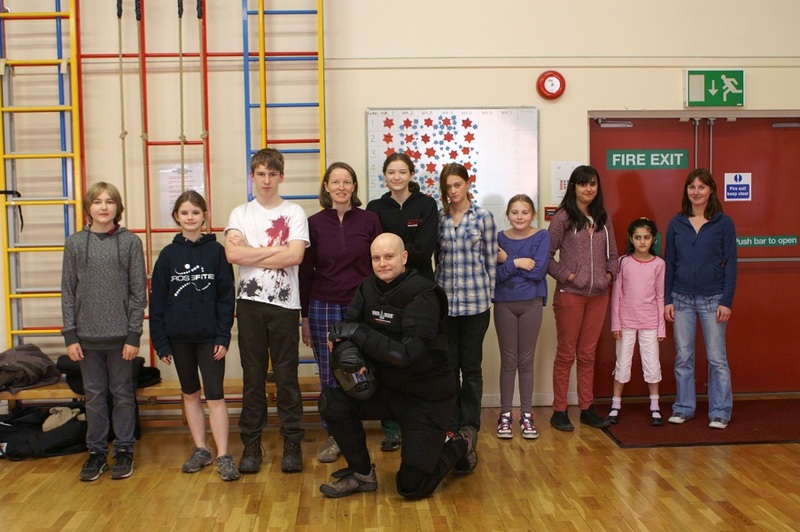 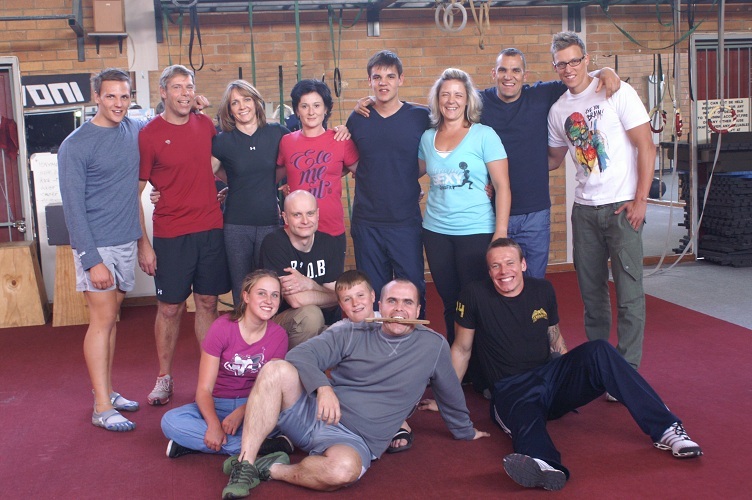 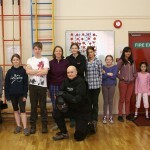 Who said self defence was a serious business? 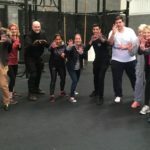 It can be a lot of fun too! 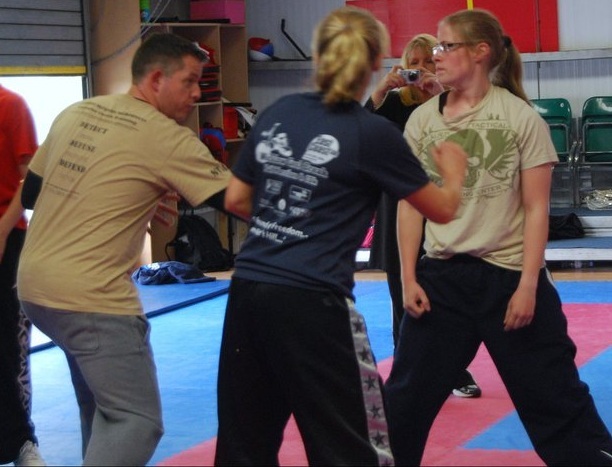 "Very easy to understand. 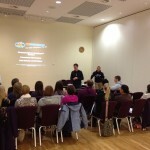 Really worth attending."